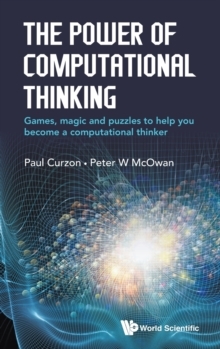 From the team behind Computer Science for Fun (cs4fn), The Power of Computational Thinking shows that learning to think can be fascinating fun.Yes, and this book shows you how.Computational thinking has changed the way we all live, work and play. It has changed the way science is done too; won wars, created whole new industries and saved lives. It is at the heart of computer programming and is a powerful approach to problem solving, with or without computers. It is so important that many countries now require that primary school children learn the skills.Professors Paul Curzon and Peter McOwan of Queen Mary University of London have written a unique and enjoyable introduction. 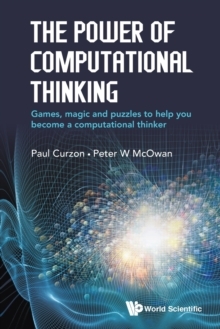 They describe the elements of computational thinking - such as algorithmic thinking, decomposition, abstraction and pattern matching - in an entertaining and accessible way, using magic tricks, games and puzzles, as well as through real and challenging problems that computer scientists work on.This book gives you a head start in learning the skills needed for coding, and will improve your real life problem solving skills. It will help you design and evaluate new technologies, as well as understand both your own brain and the digital world in a deeper way.